Mimi is an L.A. based singer/songwriter and a composer for film and video games. She started writing songs on the piano at the age of 5 and continued to produce music in her home studio throughout her teenage years. TV first caught on to Mimi’s sound with her original song `The Fire` in 2010, which got featured on MTV’s The Real World and debuted at #11on Itunes and #1 on Amazon’s electronic charts. In 2011, Mimi made her vocal stems available for a remix contest, which caught the attention of the EDM scene and lead to collaborations with popular EDM producers such as Bassnectar, DC Breaks, Delerium and Seven Lions. Mimi’s music continues to gain popularity on TV and in Video Games, getting featured on shows like America’s Got Talent, The Following and Dark, as well as in games like Fall Out 4, League Of Legends and Sword Coast Legends. As musicians and artists, we want ONE thing: To express ourselves through our music and to write captivating songs that people around the world connect with. Is it even possible to make professional music and achieve success by recording in a small home studio? Mimi Page is a prime example that the answer is: YES! Ever since she was a kid, she produced music on a minimalistic setup at home: A simple interface, one micophone, a midi keyboard and a few VSTs. – That’s it! Yet, her music has made its way to be featured on some of of the biggest TV shows including America’s Got Talent, The Following and Dark, as well as multiple Video games, such as Fallout 4 and League of Legends. 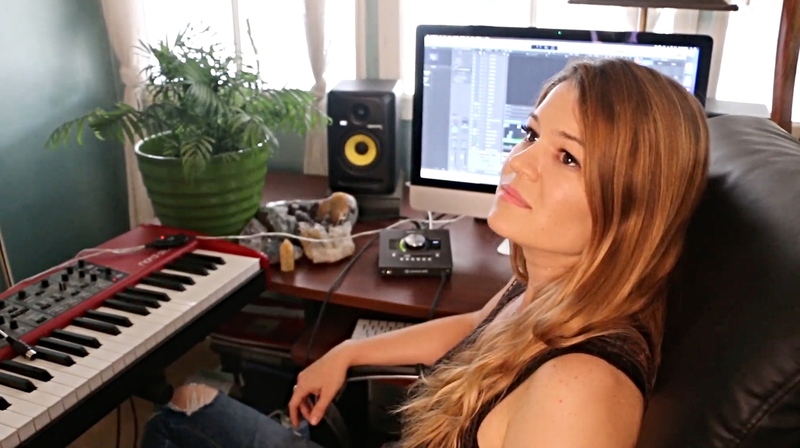 In this course, she shows you how YOU can create captivating songs in your home studio. Songs that express how you feel and that touch your listeners emotionally. 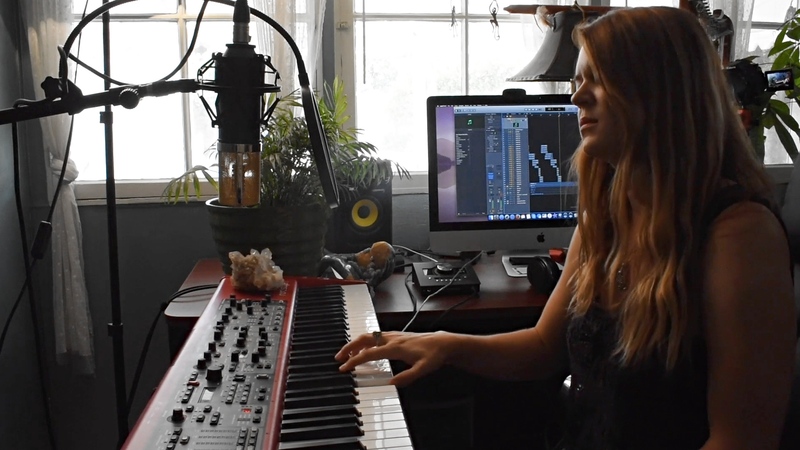 Learn her complete production process, all the way from coming up with chord progressions, to crafting beats, blending multiple instruments and crafting lush vocal arrangements that draw your listeners in. A song is only ever as good as its core idea. Even if a song is stripped down to only a few key components, it still needs to convey the message and feeling you’re trying to get across. Learn how to draw from your life experiences to come up with an engaging musical foundation, which sparks your creativity and inspires you add additional layers of production. Once you’ve nailed your core idea, it’s time to enhance the production to add depth, dimension and tension to the song. Captivate your listeners by blending multiple layers of instruments and harmonies and help the song build and progress over time. In modern music, a great beat is a big reason why people fall in love with a song. That’s why we’re often tempted to go out and buy one drum library after another to have the best samples at our disposal. simply by providing you with too many options. 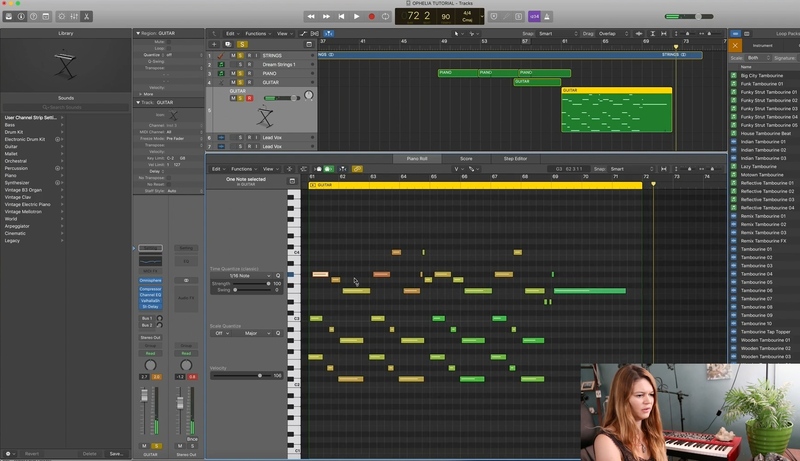 Instead, Mimi shows you how you can cut up the stock loops in Logic X and process them with creative effects, to craft a unique beat that fits your song perfectly. In almost any genre, vocals are the most important part of the song. They’re what people remember and what they connect with emotionally. Learn Mimi’s unique approach to treating her vocals like a lead instrument and see how she layers multiple background harmonies to craft a 3-dimensional and ethereal vocal sound. Get an inside look into the production & remix this song. We include the stems of Mimi’s song ‘Ophelia’ with this course. Her vocal arrangements have been highly popular with EDM producers, so if you’re feeling creative and want to do your own remix of this song, this is your chance! When trying something new, there’s always risk involved. But the bigger risk is often NOT doing anything at all! Even the best producers in the audio industry keep learning new things and evolve on a daily basis – it’s THAT important! And in the end, all you really care about is your music, right? This is a wonderful opportunity to learn from one of the best up-and-coming producers AND one of the top string arrangers at the same time. However, I want to make 100% sure that you can only gain from this purchase. So I’m including a 30 Day Money Back Guarantee for you! You can take this full course right now, and if it doesn’t help you take your songs to the next level you’ll get a full refund, no harm done. You can even keep the files. Music Production with Mimi Page is a collection of downloadable zip files. These downloads are yours for life! We are working on a streaming solution for future release. We will contact you via email once the members area launches. If you have any issues at all please contact us to support@promixacademy.com and we’ll get you taken care of right away! Absolutely. 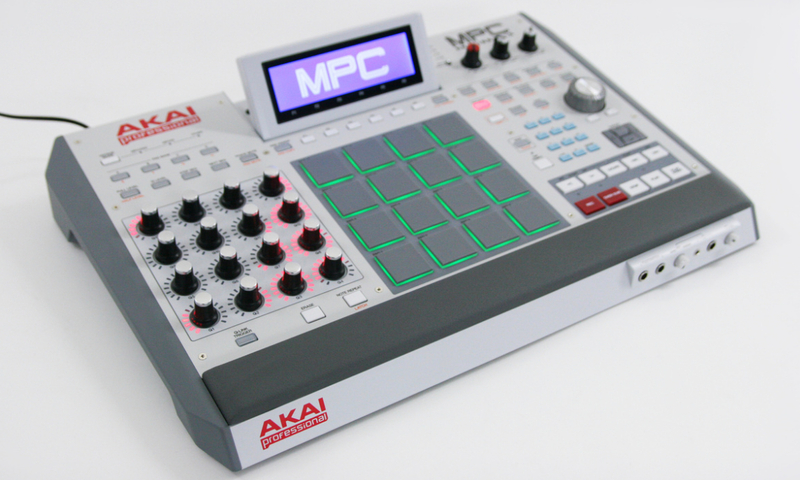 We’ve included all multitracks for your mixing pleasure! Music Production with Mimi page is an indescribable ‘etherial’ sound and Stevie Blacke’s song is an R&B song. However, you can apply the techniques and concepts taught in this course across all genres.